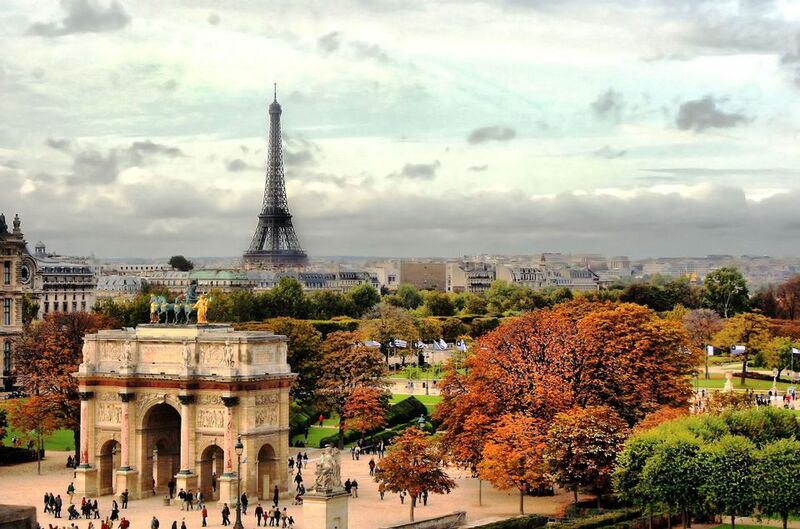 September has always been a cherished and exciting in the city of light. There's a sense of transition that many people find exciting and stimulating, as summer laziness culminates and a surge of energy from "la rentrée"—that very French concept that translates roughly as "back to school" but concerns adults too—falls over the city. Everything comes out of summer vacation mode, from shops reopening to politicians getting back to work and newspapers grinding out thicker editions again. More than the calendar New Year in Paris, September is the city's de facto nouvel an. With the peak tourist season winding down, air and hotel fares take a dip, but the weather is just as nice, if not nicer, than during the summer months. The laid-back, summer-vacation ambiance is still lingering around the city, but most Parisians are back in town, creating an interesting mix of fun and authenticity. Those wishing to avoid the cramped conditions of peak season may find September to be one of the best times of the lower season to visit. Late September is probably the better choice for avoiding the tail-end of high season, however. September can also be an ideal time for experiencing a cruise on the Seine river or on Paris canals and waterways, especially on hot days when breezes off the water offer a welcome reprieve. Alternatively, if you wish to explore the city by foot, our 2-day Paris itinerary will show you both classic and hidden nooks of the city. If you've already decided to schedule your Parisian sojourn in September, you're probably wondering what the weather's likely to look like-- and how to pack your suitcase accordingly. The following information and tips should go a long way in helping you to prepare for typical weather conditions. September in Paris is generally on the moderately warm and damp side, with average temperatures at around 24 degrees C/ 75 F. Rain is common and it isn't unusual for autumn-like conditions to foil plans for outdoorsy activities. In recent years, however, unusually hot temperatures have been known to strike Paris in the summer months, and extreme spikes in temperature may hit in September. Elderly visitors, visitors with medical conditions, and parents with infants and small children should remain especially alert to possible spikes in temperature, and take necessary precautions. Reserving a hotel room with air conditioning is one of them. Keep plenty of water on hand and drinking regularly, even when there is no sensation of thirst, is another. Make sure to pack a sturdy umbrella and at least one pair of waterproof shoes. Bring along good, sturdy pair of walking shoes. Visits to Paris usually involve lots of strolling, and the Paris metro is notorious for its seemingly endless tunnels and stairs. Who wants blisters and aching feet to ruin what would otherwise be a fantastic trip? Since September is the tail-end of summer in Paris and warm, sunny days are still probable, pack clothes for both cool and sunny conditions. You should also think about bringing a hat or visor and other gear for sunny days when you wish to spend time lounging in one of Paris' best parks and gardens.